Adele doesn't need to tour. By sales alone, she is the biggest pop star in the world several times over right now; money is not an issue for her. And she also has kids, and well-documented issues with stage-fright, and plenty of other reasons to stay home. But Adele still toured the entire world, hard, behind her 2015 album 25. Last night, in Auckland, New Zealand's Mt. Smart Stadium, she played her final show of the 25 tour, singing for 40,000 fans in a torrential downpour. And during the show, she said that this might be the last time she hits the road. 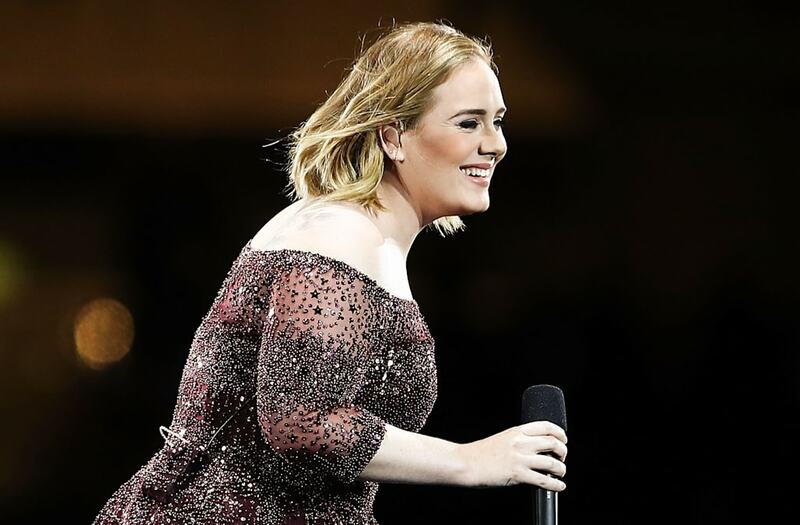 The NZ Herald reports that Adele, speaking in between songs, said, "Touring isn't something I'm good at...; Applause makes me feel a bit vulnerable. I don't know if I will ever tour again. The only reason I've toured is you. I'm not sure if touring is my bag." If you really are going to retire from touring, a massive show in the middle of a New Zealand monsoon seems like a pretty good way to go out.